If you’re searching for the right off-road vehicle that can take you on the trails while also giving you the ability to handle the job of taking your family where they need to go, you’ll want to see our team at Joseph Airport Toyota. We have the selection of used Toyota 4Runner models in stock to make it possible for you to get outside of Dayton, OH and explore the trails. How does a Used Toyota 4Runner make Sense for You? For many years, the 4Runner has been built on a body-on-frame platform to give it a feeling that brings back memories of early SUV models. This is an SUV that’s thumbed its nose at the crossover market with the car platforms to continue to be rugged, tough, active, and capable on the trails. 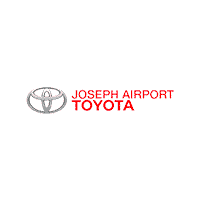 When you see our team at Joseph Airport Toyota, you’re going to be able to take a test drive in the 4Runner you choose and learn more about this impressive SUV. Whether you need to commute or go off-road, we have the right model for you and you’re going to have a lot more fun when it’s time to head out on the trails every weekend. If you’re looking for a vehicle that you can drive every day and make use of on the trails when it’s time for adventure, you need to see what we have to offer. You’ll be glad to get out of the hustle and bustle of Dayton, OH traffic and explore the wilderness. A used Toyota 4Runner is large enough to carry your family in an SUV that has three rows of seats to make sure you have the space needed to carry the gear needed wherever you drive. This is an SUV that can check off a lot of boxes for you. Ask about the used Toyota 4 Runner models we have in stock and make sure you choose one that’s been certified. Why should you have a certified model? When you choose the right version of this SUV, you’re going to be able to take advantage of the Yes Plan which is a limited lifetime warranty on our certified pre-owned models that you can enjoy when you drive. This plan gives you the peace of mind you need so that you can drive with the confidence you need. It’s time for you to have a fantastic off-road vehicle that will let you experience the fun you want to enjoy on the weekends. With the right used Toyota 4Runner model, the Yes Plan warranty, and the financing that makes this an affordable vehicle for you, it will be easy for you to have the drive you’ve been looking for. Let our team show you what we have to offer so that you can drive on the road during the week and hit the trails on the weekend to experience the wilderness and the fun that’s waiting for you. When you choose a vehicle like a used Toyota 4Runner, you are no doubt an outdoor enthusiast. 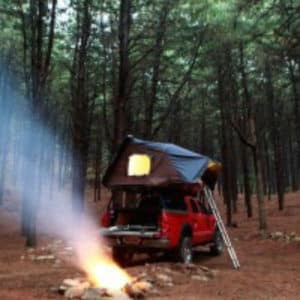 Imagine yourself driving over to Twin Creek Park for a weekend of camping in Dayton, OH. Pack your SUV full of the essentials and “rough it” while you get away from it all. Drive in confidence to wherever your 4Runner takes you thanks to the YES Plan that is offered on most of our used vehicles here at Joseph Airport Toyota and take control of your day.